You have a great idea you want to share with the world. You make up a printable. Now how do you make it, you know, printable? I was asked this question by a few people when I attended the Build Your Blog Conference earlier this month. I promised them that was simple and that I would write up a step by step post on how to do it. So here it is. Ready? The first thing that you need to do is save your printable as a PDF whether you have made it in Word, Pages, Photoshop, etc. Now you need to get it on to the internet. You can use Dropbox or Google Drive. I have used both, but I prefer Google Drive simply because I use Google so much. Both are free services, depending on the amount of space you use. I’m going to show you how to use both. 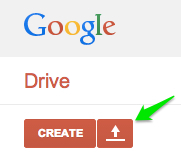 Once you get into Google Drive look in the top left corner and click the Upload button. When you click it, it will drop down a menu that says “Files” and “Folders”. Choose Files and it will open up all your computer files for you to choose from. Find your PDF printable file, select it, and click open. This window will pop up out of the bottom right corner and tell you when your file has been completely uploaded. If you click the file name, your file will open. It’s a good idea to double check that everything looks right before sharing your printable. Next you will want to click the blue Share button. This window will pop open. Click save and it will take you back to this window. 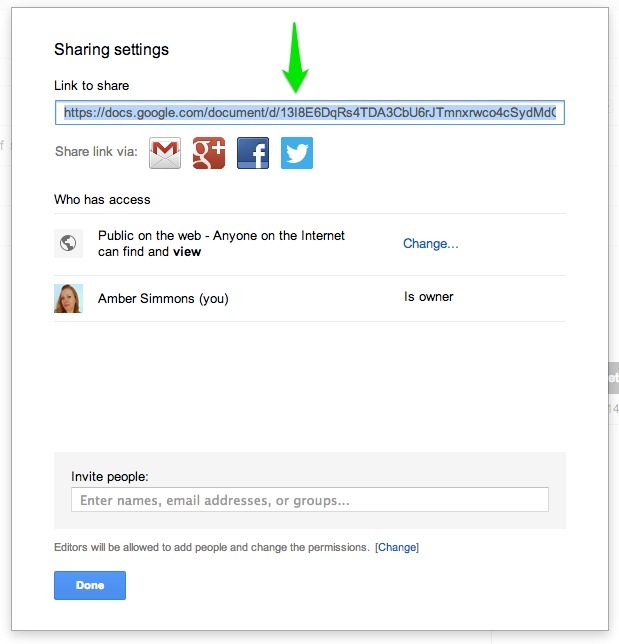 Grab your share link from the top. This is the link you want to your printable to in your blog post. And you’re done! See? Simple. And if you happen to be looking at the file, or you uploaded it a while back and the upload window is no longer there you can share directly from the file. Just look in the top right corner and click the share button there. 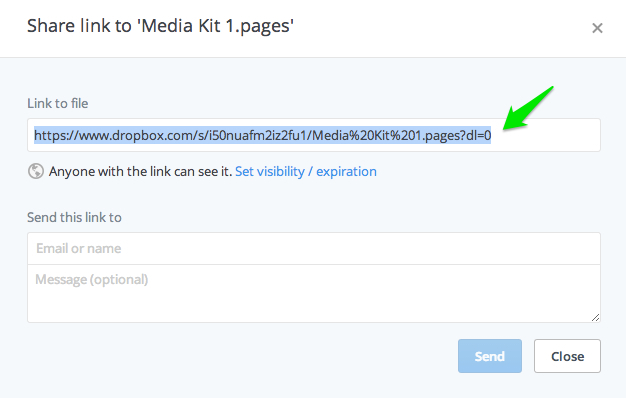 Once you are signed in to Dropbox you click the upload button. It will open up your computer files and you choose what to upload. 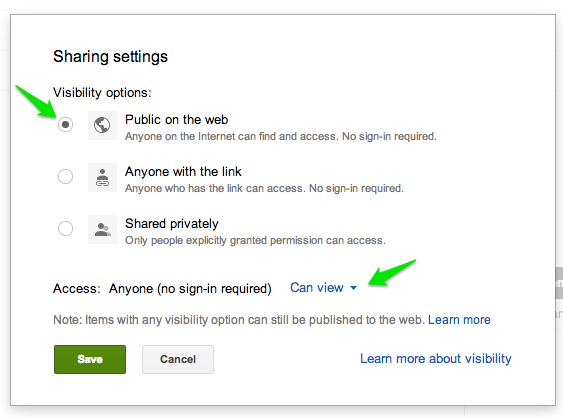 Then to share you just click the “share link” icon. 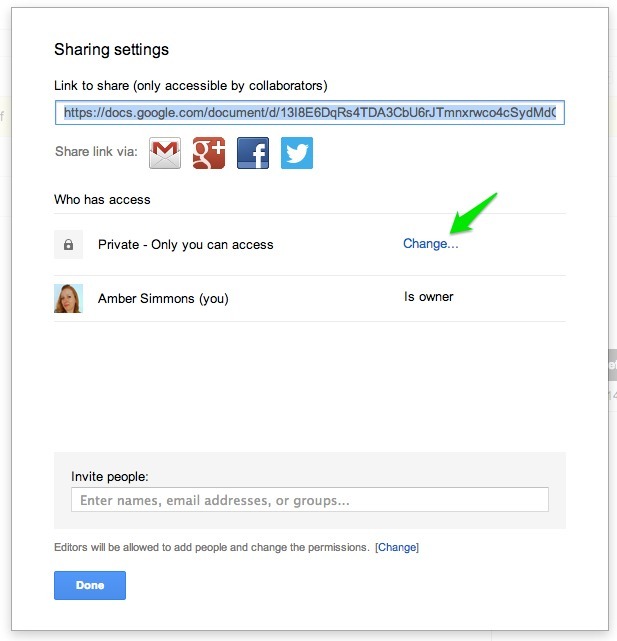 A box will open up with your shareable link. That’s the link you will link to in you blog post. Have any questions about the process of making a printable? Ask below and I’ll get back to you ASAP. Thanks for doing this tutorial! So what program do you use to make printables? 🙂 I have no idea how to do them or where to even start, but I would like to! And I’m pinning this. 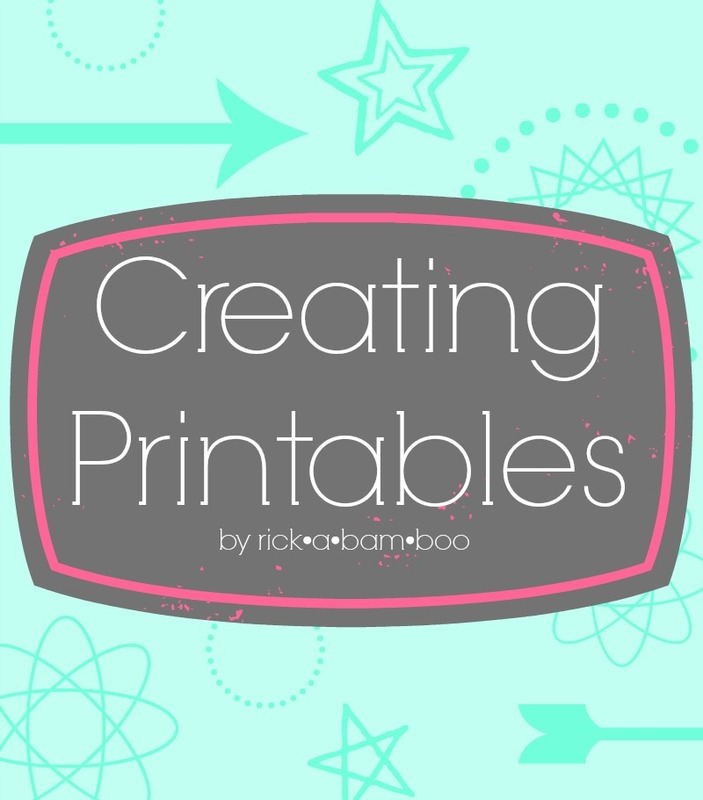 I use Pages and Picmonkey for my printables. Also I saw that this was how you put your media kit on your blog. So smart! I was trying to copy and paste it into a google doc and it didn’t work out so well. I didn’t realize you could just upload the pdf file. Awesome! Thanks Amber! Thank you for this post! I’ve been wondering how to do this. Oh Wow! This is awesome! Thanks for the step by steps! I may still need to ask questions when I make one but this looks very easy to follow! You’re the best! Great post on the topic! Thanks!